As more confirmations of attendance continue to come in for Amfest Expo, Lagos 2018, Chef Alex Oke has become the latest speaker to confirm his participation as a speaker at the event. Alex Oke, born in Ibadan, Nigeria, attended the International School Ibadan before furthering his education in the United States, United Kingdom and Canada. 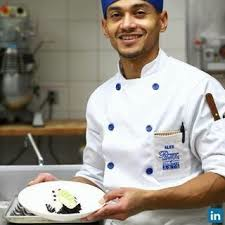 He is an alumnus of the Pacific Institute of Culinary Arts (PICA) in Vancouver, Canada, where he trained in classical and contemporary French cuisine. He then worked for a period at Lear Faye in East Vancouver and volunteered for refugees in Israel, before returning to Nigeria. He loves using Nigerian recipes influenced with European and Asian cuisine to create his own style of cooking which he describes as “gentrified Nigerian food”. He adopts local Nigerian ingredients to produce traditional European pastries. Alex is the owner of XO Boutique Bakery and also an instructor at the Culinary Academy in Lagos, Nigeria. He was a speaker at Social Media Week Lagos 2018 and has is a regular guest at Guarantee Trust Bank’s, Food and Drink Fair. Alex Oke will be speaking at the Amfest Expo Food day alongside top chefs Kelvin Curry and other stakeholders in the African cuisine industry on issues like Gastronomy:The African way, African cuisine ‘a new entrant into Global gastronomy business, the viability of African cuisine as a global business as well as strategies to penetrate & thrive in the global Market. 7th Floor, Mulliner Towers, Alfred Rewane Way, Ikoyi, Lagos.